And You found me WORTH DYING FOR! Your presence is my comfort. When I sense these moments of sweet love that You shower upon me, I know that they are beyond all other moments. How I love You Lord! When I am feeling doubt from fear You break through the lie to remind me that You are my Protector and Strong Tower. You lift me up above every circumstance that this life and world would hurl as obstacles on my path. You gently invite me to walk on the water with You and amazingly I can achieve this as long as my gaze is fixed on Your glorious presence. It is through you that I can do all things. Lord Jesus it is only in You that I find the confidence to stand firm in my resolve to live in and uphold Truth. You are Truth and there is nothing else that a man can add to You Lord! How I adore You my gentle Master! Because of Your just, faithful and consistent Love for me, I understand much clearer who I am; which allows me the freedom to truly Trust Who You are, for it is in You that I live and move and have my being! I am Yours and You are truly mine. There are many in the world who say that I am simple and not worth acknowledging in a conversation. Others say I am not worth the effort of their time and company. Many think I am not worth being in their community or neighborhood. Some have said I am not worth living for. Precious Father, I will be content today to let them say what they will. I want to remain on the road where You have placed me. Thank you for raising me out of the ignorance of caring what others think or being concerned with the futile and hopeless values and worth with which they assess one another. 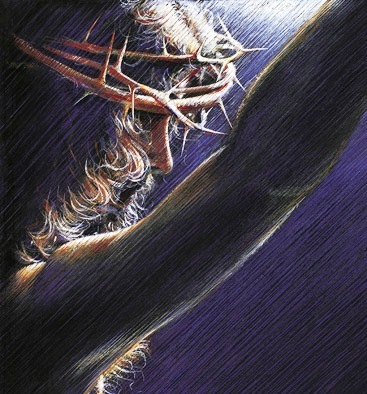 It’s ALL about You my King! And You found me WORTH DYING FOR! I thank You Lord, as I submit myself unto Your service and good pleasure today; body, soul, mind and spirit. Father there is nothing humanly possible to utter that would attain all that You are to me. I do know that I Love You so deeply Lord, I adore You beyond my own comprehension! In the Name of Jesus, I therefore humbly ask that You accept this simple offering of loving praise. Can We Have a Little Chat?